2014 has been a big year for brass in home decor, though it’s by no means a new concept. Once a norm in houses around the world, at some point brass just fell out of favor. Some homeowners became so disdainful of it that they would go so far as to paint over brass light fixtures and nobs. But brass is back in a big way (although we are not talking about the ultra-shiny brass of the 80s), and the trend doesn’t seem to be going anywhere soon. The brass of today is all about creating a warm and timeless look, but with a fresh modern twist. Design*Sponge believes brass’ appeal may be due in part to the fact that it looks good at any level of wear. Brand new is beautiful, but many years in it develops a gorgeous surface patina of wear that many prefer to its original shine. We think it’s safe to say that the brass revival is more than a fad at this point. 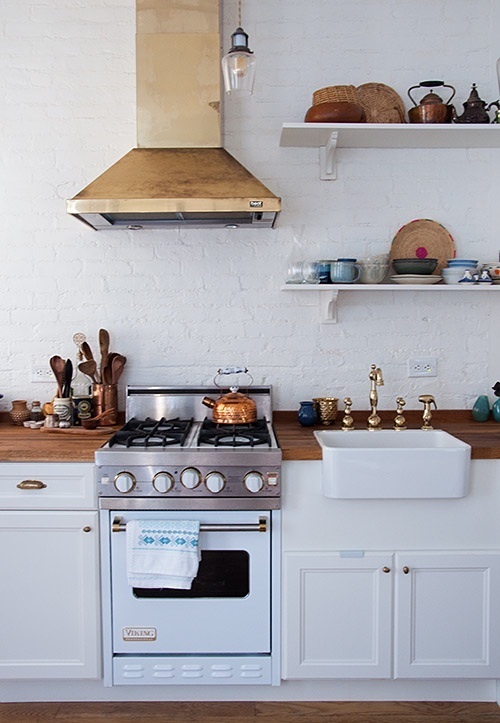 In hopes of inspiring you to experiment with using brass in your own home, we’ve rounded up a few of our favorite brass products and uses in decor below. See what you think! Would you install brass in your own home? 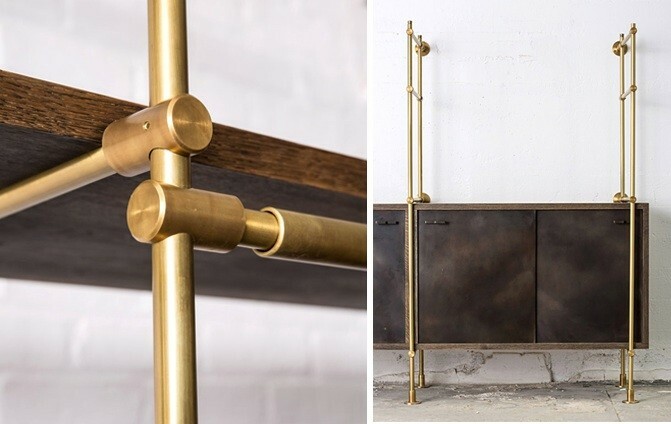 Oak and brass shelving system featured on Remodelista. 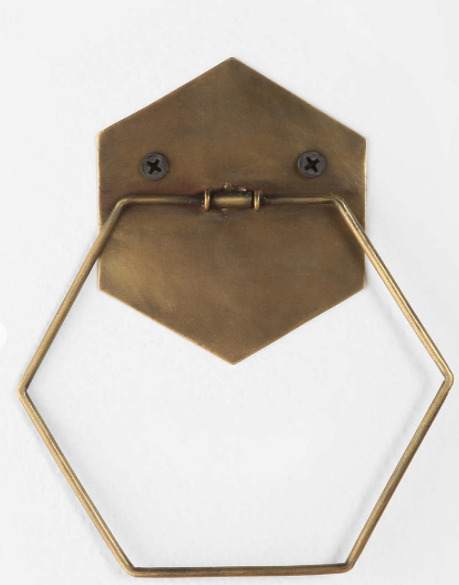 This Hexagon towel holder by Urban Outfitters. A DIY dresser revamp with antique brass bamboo handles, feautured on the blog Natty By Design. This modern yet classic bathroom featured on Domino. This midcentury sconce by Schoolhouse Electric. Sources: Design*Sponge, Remodelista, Urban Outfitters, Natty By Design, Domino, Schoolhouse Electric.